We have one upgraded Server 2019 box (from Server 2016) and one new one. 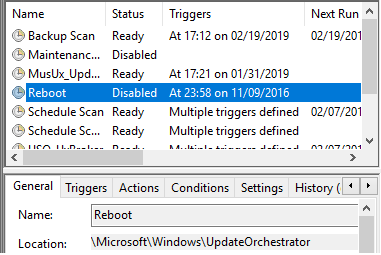 On the new one I wanted to disable reboot (and rename the file and use a blank directory instead) to prevent this really annoying default habit of the server deciding to reboot without notice during the night. Am I missing something, or are some of these annoying scheduled tasks added later, or had MS actually listened and removed this as the default now? 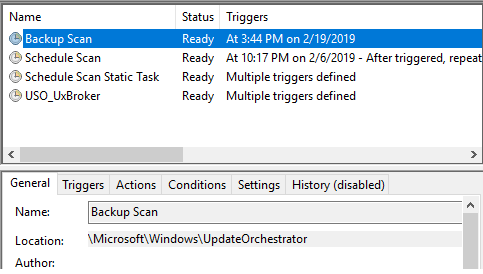 Browse other questions tagged windows-update windows-server-2019 or ask your own question.